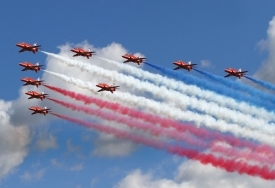 The 2014 Farnborough International Airshow (July 14-20) was a dynamic and captivating edition of the long-running biennial event–packed with high-octane sales activity, novelty and a touch of controversy. As of press time, the show was on track to surpass all the main metrics for the 2012 event, with more than twice the volume of announced sales; more than 100,000 visitors on the five trade days; and approximately 1,500 exhibitors (of which 26 percent were newcomers and 15 percent had expanded their presence). 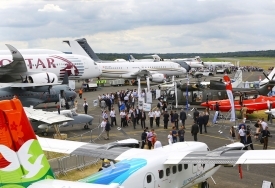 The sun shone on the 2014 Farnborough International Airshow and exhibiting airliner manufacturers and engine suppliers certainly took every opportunity to make hay while the sun was shining, logging orders totaling almost $168 billion (according to AIN estimates). Late in 2013 a study was released by PricewaterhouseCoopers that ranked Florida above 49 other states as the most attractive location for aviation entities to do business. Governor Rick Scott took the report in stride, suggesting it was an indicator his business-friendly policies were poised to reap economic rewards for the Sunshine State. 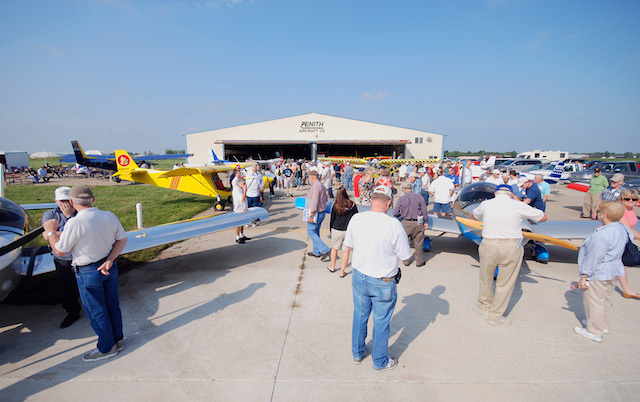 Zenith will host its 8th annual “Fly-In to Summer” Open Hangar Day on Saturday, June 21. The event provides an opportunity to tour the aircraft kit manufacturing facility and to meet people who have already completed the building their own kit plane. 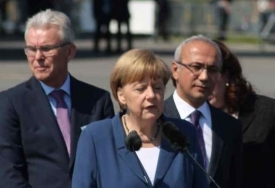 The organizers of this week’s ILA Berlin airshow claimed 1,200 exhibitors from 40 countries, and were expecting 200,000 visitors, including public spectators on the last three days. 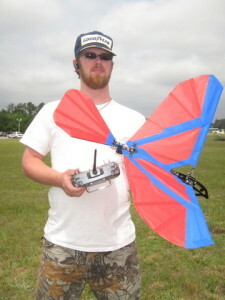 The show had plenty to offer in the fields of civil aerospace, space and environmental solutions. However, defense exhibitors and attendees at ILA Berlin are mostly focused on German requirements. The problem is, the Germans are not buying anything. The Commerative Air Force’s Red Tail Squadron’s Rise Above Tuskegee Airmen exhibit, as well as a rare P-51C, will be prime attractions at the 17th Virginia Regional Festival of Flight, slated for May 31-June 1 at Suffolk Executive Airport (KSFQ). Plus, for the first time, 10 exhibitors will be showing and demonstrating Unmanned Aerial Systems (UAS), commonly known as drones. 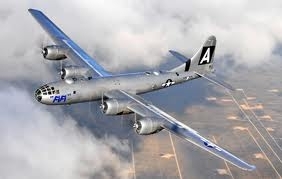 The Commemorative Air Force (CAF) has chosen Dallas Executive Airport (KRBD) as the location for its CAF National Airbase and corporate headquarters. The selection comes as “after an intensive one-year nationwide search, which began with 23 cities and narrowed to six, then three finalists,” noted Stephan C. Brown, president and CEO. That’s how Karl “Bud” Davidson begins his recounting of SUN ‘n FUN’s 40 years in a new book, “Unfreeze Your Bird: The History of SUN ’n FUN” debuting at SUN ’n FUN this year. 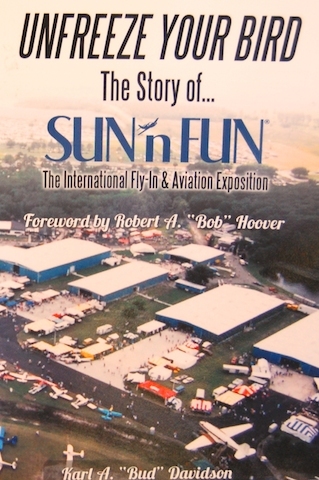 Bob Hoover put it another way: “SUN ‘n FUN always felt like a homecoming for me…a warm, welcoming place to reconnect with friends and my aviation family; a real home-away-from-home where everyone knew everyone’s name.” Therein are the two touchstones of SUN ‘n FUN’s 40 years — selfless individual initiative and a warm inviting atmosphere that welcomes all aviators. 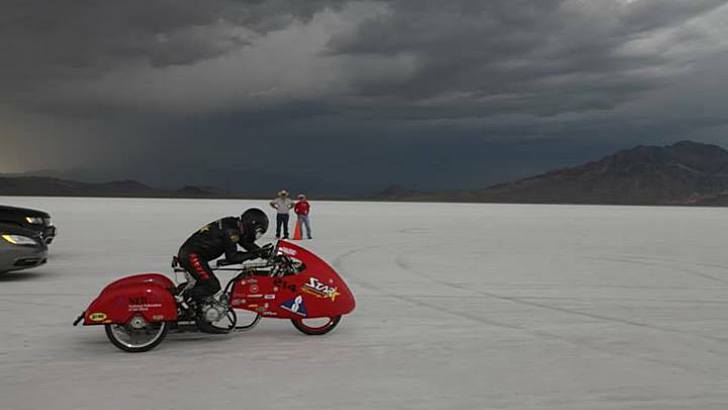 The National Federation of the Blind today announced that one of its members, Dan Parker, an experienced race car builder and driver who lost his sight as the result of a racing accident in 2012, will again independently operate a three-wheeled motorcycle with the help of a GPS system that gives him audible cues in order to help him maintain a straight course. This week’s Singapore Airshow brought only one significant new launch, when Israel Aerospace Industries (IAI) unveiled the Super Heron UAV. But as usual, there were plenty of defense requirements to discuss. 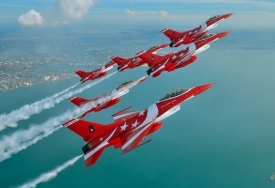 These included Singapore’s desire to upgrade its F-16 fighters, and maritime surveillance requirements around the region.